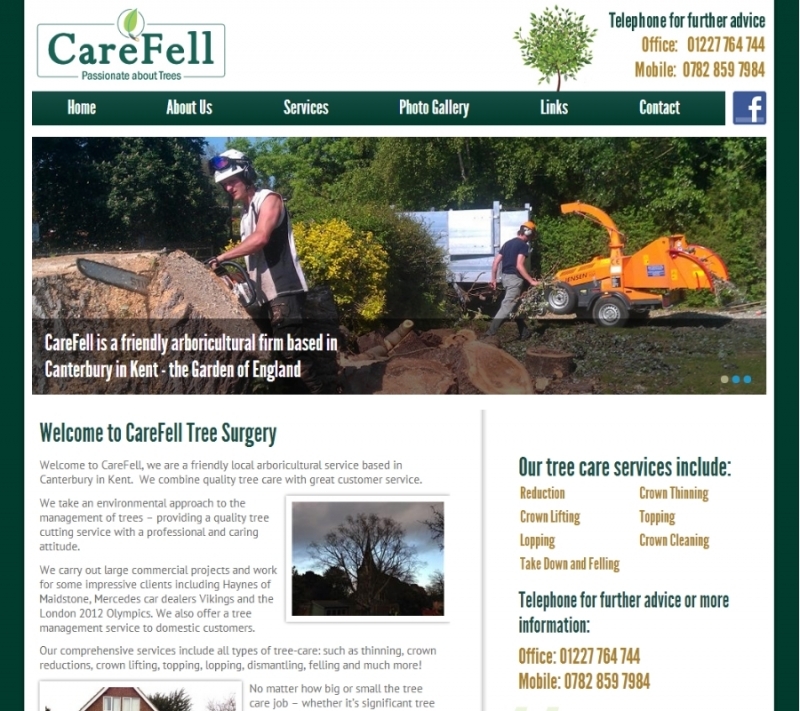 This Kent tree surgeon and horticulture company wanted to improve their current website in order to better reflect their growing business and help them to attract more large-scale, corporate clients. 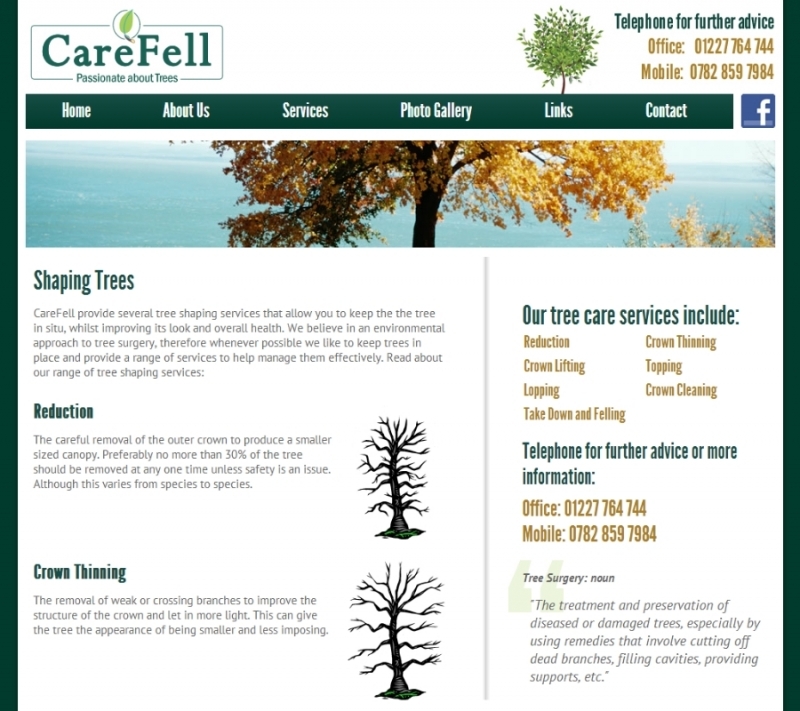 We carried out both market and keyword research to ensure a website that was search engine optimised from the code level up for a suitable range of tree surgery and horticultural key phrases in order to assist with marketing the business on an ongoing basis. The client provided a logo designed by a third party to form the basis of the new design. 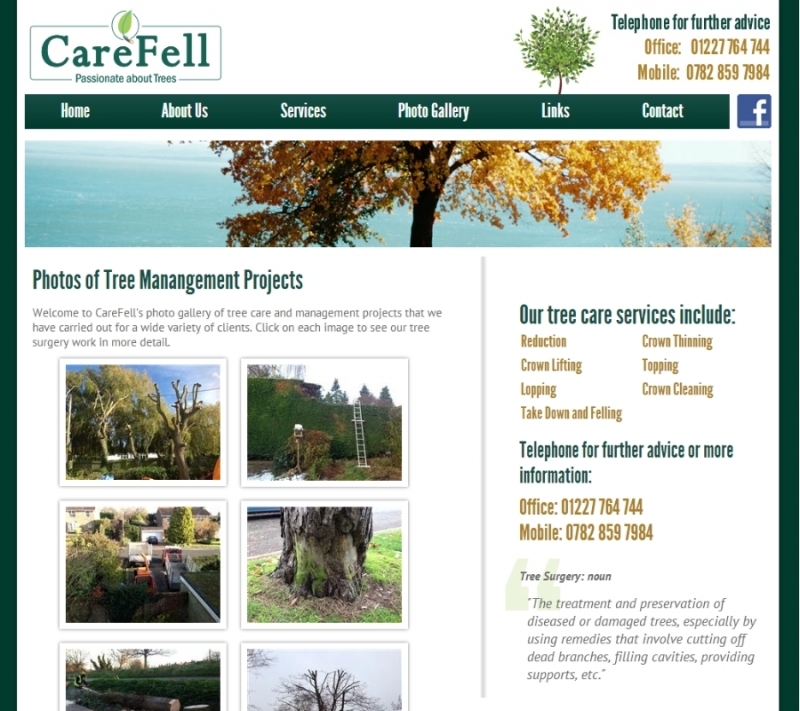 These are captures taken from the finished website when it went live, showing the main homepage design, tree shaping page and gallery page. Click to enlarge. 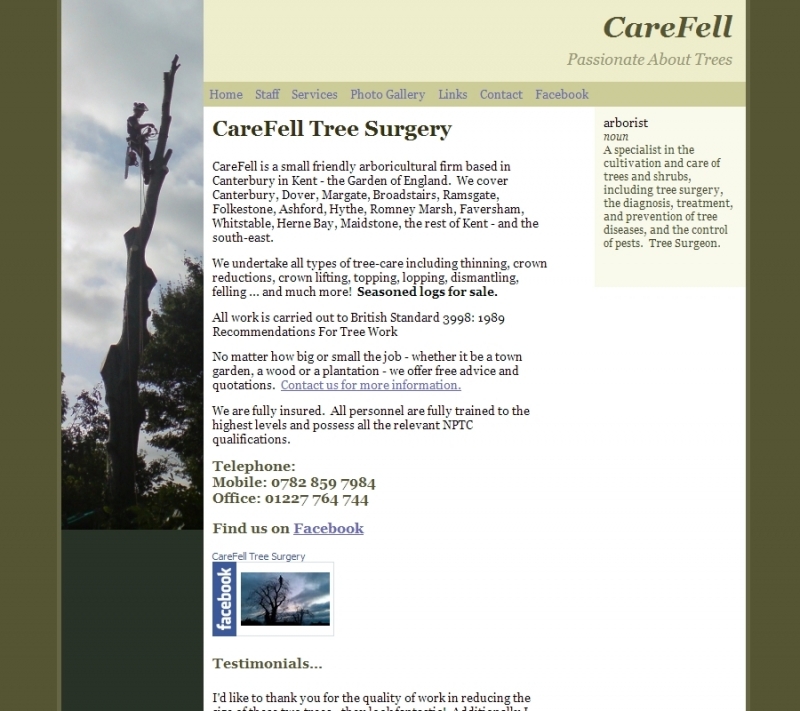 The original website was small, homemade and had no proper content management system so was very difficult to edit. This is how the website originally looked (click to enlarge). ExtraDigital offer a comprehensive marketing website design service for a range of businesses and sectors. To learn more take a look at our range of website designs or contact us today to get an initial, free website review and find out how we can bring your business to life online.